Double Dose Knowledge Now We Are Plastic-ing Ourselves? Now We Are Plastic-ing Ourselves? Nowadays everything in our life has become more and more "plastic-ky". From the plates that we use to dine to the cups that we make for guzzling-everything has became increasingly "plastic-ky" right? Even our paper money and nickel coins has transformed into plastics of various form and design-aka credit cards. Welcome to the new world, plastically speaking of course. So do you guys know where the word plastic derived from? You don't have to guess. It's guaran-DAMM-teed from the greeks. Yes, it derives from the Greek πλαστικός (plastikos), "fit for molding", from πλαστός (plastos) "molded". It seems Greece really have it all huh? Today I'm going to share about we-human beings, trying to "plastic-fy" ourselves to meet the current demands. 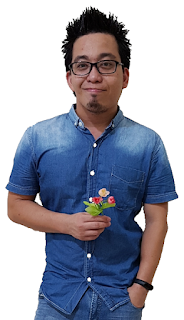 Yes, let us dwell a little deeper into the cure (or curse) of cosmetic surgery or more popularly known as plastic surgery. How many of you had plastic-fy yourself? Don't be ashamed. A lot of those super gorgeous celebrities actually need to "correct" their appearance to boost their image(s) (which converts to sales & profits). Yep, the porcelain-like, angelic face of your favourite Korean idols might actually be a fake. But who cares anymore? It has become a trend of sort right now. Plastic surgery or cosmetic augmentation might appear to be an extreme method of mid-life "maintenance," but an increasing number of people in Asia-chiefly women in their 30s and 40s-are choosing this easier routes to fountain of youth. According to Dr. Kenneth Hui (a Hong Kong-based plastic surgeon and former president of the Hong Kong Society of Plastic and Reconstructive Surgeons), there has been an increase in the number of patients undergoing plastic surgery judging from the longer waiting list on bookings and the longer working hours reported by the members of the Hong Kong Society of Plastic Surgery. Wow, that's really a drag! The cost of plastic surgery hasn't really changed substantially, but I believe the increasing numbers are attributed by the changing social conditions-wider societal acceptance, peer pressure, competitive work environments, widespread advertising-people are less secretive regarding cosmetic procedures. Undeniably, it's not a secret anymore that Asians are traveling within the region for more affordable cosmetic surgery. And there's also this council called Korea Medicine Overseas Promotion, launched in mid-2007 to cash on Asia's lucrative medical travel business. Now we know who's the pioneer in Asia right? The council markets packages for 28 affiliated hospitals and targets "patients" from Japan and China. Well, well...all these are predictable as growing numbers especially from China seeking to possess the beauty of popular Korean celebrities. But behind the cajole of more affordable plastic surgery is the pressure of living in a world that places increasing importance on appearance. This is so damm true. The emphasis on looking good affects our social life and career. And this in turn puts immense pressure on people to change their appearance. In other words, plastic surgery is no longer seen as an exercise of vanity. Those who need it sees plastic surgery as a valid means of self-improvement. The desire to have perfect beauty is universal, but those who are perfectionists will always suffer from deep feeling of inadequacy. These perfectionists get distressed and feel they have to correct they way they look. Yes, they believe that they need to get their nose done or their skin peeled. Ask the bleached Micheal Jackson, he knows better. Moreover, the increasing cultural fixation on youthfulness as well as exposure to idealised representations of beauty have contorted perceptions of what's normal. We are exposed to celebrities with (faked) impeccable features every day. Yet, these representations are rather un-viable. People internalise those representations as a standard of beauty and create an ideal image of themselves. The inflexible pursuits of a flawless ideal might contribute to the repeated and unsuitable use of plastic surgery. Guess what? It can even be additive as if they are using Photoshop to "touch-up" their appearances. Some prospective "patients" were turned away by professional surgeons due to "unrealistic expectations." But they can always go elsewhere to get themselves "fix"! That's right: anyone with a medical degree in Asia can legally do plastic surgeries or cosmetic procedures-doctors, dermatologists, dentists, gynaecologists; even nurses and aestheticians. But the bottom line is buyer beware!!! People should choose plastic surgeons wisely as most of the botched surgeries CANNOT be rectified. Yeah! This is not your Microsoft Office with "undo" button. They have DIY kit too? Consider the tragic fate of thousands of women in China who now suffer serious side effects after receiving injections of "Ao Mei Ding," aka "man-made fat," a liquid gel used in beauty parlours for breast enhancement. In some serious cases, these women have had their breast removed in order to expel the liquid. 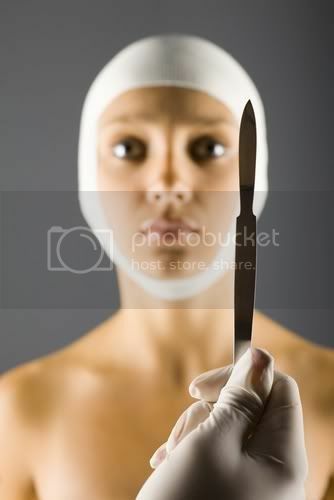 So do consult a recognised surgeons if you really want to give yourself an extreme makeover. The dearer receipts and longer waiting list is worth it. Last but not least...I don't really like people who pursue beauty by undergoing plastic surgery or so (except those who had involved in accidents and natural birth deforms that need reconstructive surgeries). All in all, plastic surgery is simply a sign of desperation and vanity. And IMHO the K-pop and J-pop cultures have had their fare shares of contributions in this new social "disease". I'm not pointing my fingers and blaming them. But honestly they just sort of influence their audience adversely. Anyway it's a free country (free world) right? Who cares anymore? So are you ready? Those beautiful actresses looked so different in their before photos...but MJ's one definitely gone overboard and gone wrong. 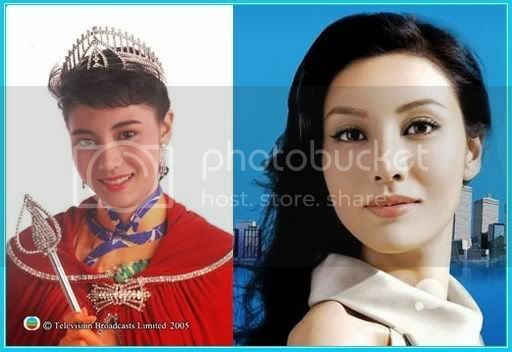 I like Michelle Reis...but...eeks..she looked kinda different from her beauty queen photo. I don't agree on doing plastic surgery unless you are disfigured in an accident. It's better to have the natural, God given beauty. 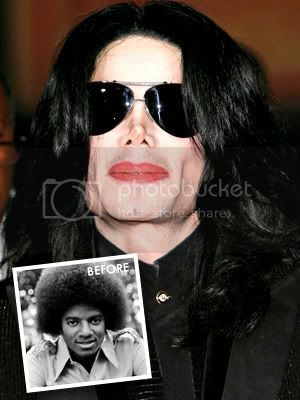 In Michael Jackson's case, he looked much better before the surgery. Now he looks really scary! 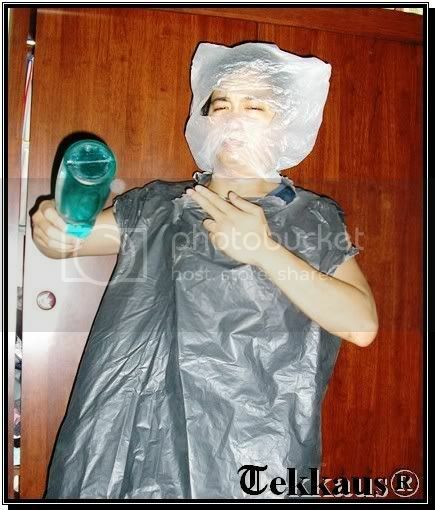 Did u reali wrap urself in plastic bags? Cause that's sorta... weird?? But the pics were kinda funny tough.